It is important that each citizen understands the power of mass movement and people's participation, PM Modi said. 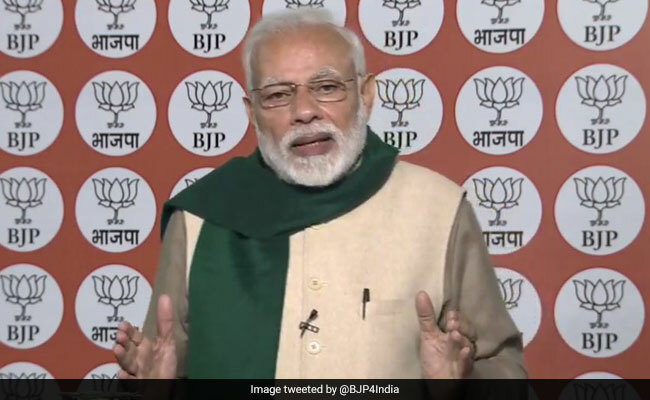 Prime Minister Narendra Modi said today that the sense of duty among people before India's Independence has now turned into a sense of entitlement. Addressing a gathering at Sanosara village in Gujarat's Bhavnagar district through video conference, Prime Minister Modi urged citizens as well as social and political leaders to draw inspiration from Mahatma Gandhi and take up the cause of cleanliness as a mass movement. "Mahatma Gandhi always stressed on duty. However, after Independence, this sense of duty turned into a sense of entitlement. For the development of our country, we need both of them today," the prime minister said. Mahatma Gandhi created a mass movement, which was instrumental in getting independence, he noted. "Our cleanliness drive became successful due to the people's participation. The government alone could not have done that," he said. It is important that each citizen understands the power of mass movement and people's participation. He urged all citizens and leaders of all the political parties to take up the cause of cleanliness. The prime minister was addressing a gathering at the concluding ceremony of a 150-km march organised by Union minister Mansukh Mandaviya as part of the 150th birth anniversary celebrations of Mahatma Gandhi this year after his speech at the Pravasi Bharatiya Diwas in Varanasi.